NEW for 2015! Amazing vertical drops that will make you reach ZERO GRAVITY in any of the 4 tubes! 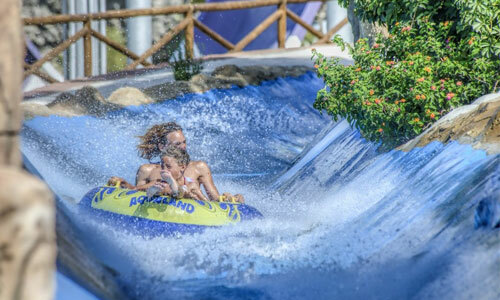 Experience the adrenaline in either one of the two tubes! Set in our hill, you can enjoy the sensation of floating around curves and straights in a floater on our 120m long river. Come and try this attraction! 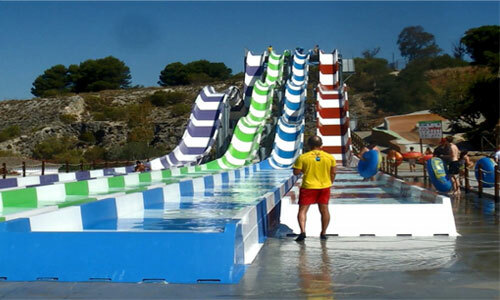 Feel the pleasure of being the first to slide down one of the two tracks, with a special mat you could enjoy the descent at an incredible speed. Amazing! 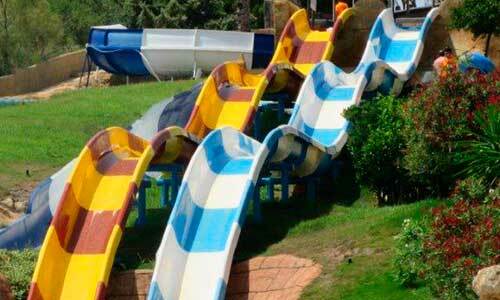 Have fun sliding down our soft slides, 1500 m2 to enjoy with all your family. Have fun! 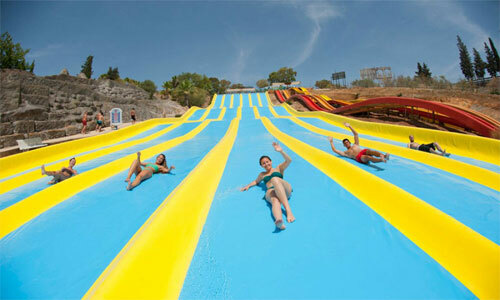 It looks like the course of a river, slide down with your float on our rapids and you will feel real fun, Awesome! Descend into an black hole on a double floater at an incredibly fast speed.